A family owned business who take pride and care in everything they do. Each member of the team is a highly experienced and skilled professional in their field. 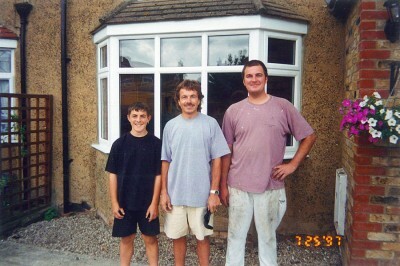 Over the years our reputation has gone from strength to strength as an established and well-respected window and door provider who offer quality home improvements, ensuring you receive the best value for quality, service and price. Being a conscientious company we were fortunate enough to be able to offer our skills and services to a local family in the Hertfordshire area and had the privilege of working alongside the DIY SOS team. All surveys and quotes are carried out by ourselves and not by salesmen. At the initial appointment you will meet either Paul or Simon who will discuss your requirements and offer their wealth of knowledge and experience, answering any questions you may have and explaining processes. At Windowman & Sons we have our own in-house qualified bricklayers and builders, so we're in a great position to offer a total refurbishment service in addition to supplying and fitting windows and doors. 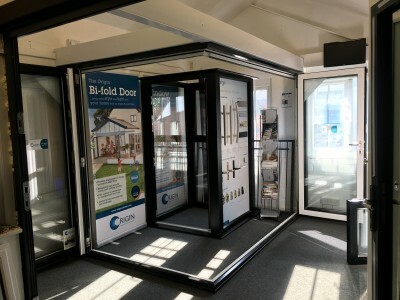 We are a transparent company and welcome all customers to come and visit our showroom which is located in the heart of Hertford. Here you can take a look at a selection of our quality doors, windows and accessories for inspiration. We even supply widows and doors which are suitable for listed properties and have been approved by 18 Borough Councils. One way we achieve this is by sourcing the most up to date Eco-friendly and energy efficient materials and use either Liniar or Eurocell to supply our windows. By ensuring our uPVC, wood and aluminium windows, conservatories and doors are energy rated we're helping you reduce your energy costs. Your home will be more energy efficient so you'll be turning down your heating or using it less often. Thus helping you save both money and the environment. We are happy to advise you on the best choice of windows and doors for your home. Our sister company is called Rock Plastics, here we stock and supply products predominantly for the window trade which includes fascia, guttering, underground drainage, mastic plus much more. Please contact Windowman & Sons for more information and details on any of the above.